Jesus Himself said that He came to call sinners and not the self-righteous. I pray that all who participate in Rachel's Vineyard with the longing to be free and to be healed by Jesus, may find Him, the source of true joy, peace and love, and allow God to restore them to wholeness and happiness. I am praying much for you. Rachel's Vineyard Ministries began as a single weekend retreat held on the grounds of Blessed Virgin Mary Church in Darby, PA, for persons suffering emotional and spiritual pain from their participation in abortion. From this small seed, in only eight years this ministry has grown to offer over 1200 retreats across the United States, and now spreading to many countries throughout the world. The retreat process has been effective in bringing relief from the suffering that is common to many persons after abortion; nightmares, depression, anxiety, difficulties in relationships and a host of other symptoms that can bring great personal, relational and family suffering. With effective healing programs like Rachel's Vineyard, we can help to bring an end to this suffering, and help bring healing to individuals, couples and families. Rachel's Vineyard is a unique weaving of spirituality and psychology. Participants are invited to experience God's conversion by reverencing the mystery of their own lives, experiencing the gentle embrace of Jesus and the power and transforming grace of the sacraments. Rachel's Vineyard calls each participant into the heart of the God who passionately desires their wholeness and holiness, loving each as if they were the only one. The experience of the healing leads one to an openness in faith and life that often draws those who are broken back to the church and the Christ who loves them. Rachel's Vineyard is an experience that leads its follower to a wholeness that can only be God's gift. I cannot think of another work of this kind so well done. A most difficult and painful human problem is engaged with faith, psychological insight and trust. Rachel's Vineyard is a program that fosters the healing of persons through Christian community. 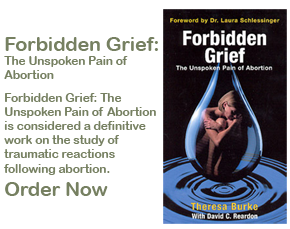 Groups of wounded, post-abortive women are sensitively led to our Divine Physician for healing of psychological trauma. The darkness of their minds is dispelled by truth-bearing group facilitators who harness the eternal light of God's Word. Chilled hearts are warmed by merciful group leaders who transmit the living flame of God's love.